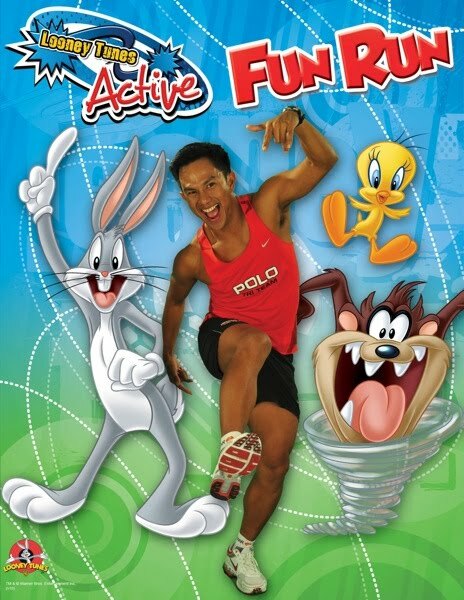 Warner Bros. Consumer Products (WBCP) launched the Looney Tunes Active! program to support global efforts to promote an active and healthier lifestyle for children. Looney Tunes Active! aims to encourage an active lifestyle among its target market, primarily children, and their families, by engaging in sports and other physical activities while having fun at the same time. Looney Tunes Active! shows kids that being active is cool! They’re DYNAMIC. They’re HILARIOUS. And they’re ON THE MOVE! Looney Tunes characters are active by nature. Their high-energy humour continues to thrill audiences young and old. And because of their active perpetual motion, they’re one of the few character brands that stand for an active lifestyle. WBCP sees this as an opportunity to use the popularity and positive perception of the Looney Tunes characters to support initiatives that promote a more active lifestyle for kids. Due to its success in Europe, the Looney Tunes Active! program is now being implemented in Southeast Asia and Greater China, specifically, the Philippines, Thailand, Indonesia, Singapore, Malaysia, Vietnam, Hong Kong and China. In 2009, WBCP, through its Philippine agent, Global Brands Group, launched a school tour where a running clinic was conducted by locally renowned coach Rio de la Cruz, in partnership with the Physical Education and Sports Clubs of participating schools in Metro Manila. 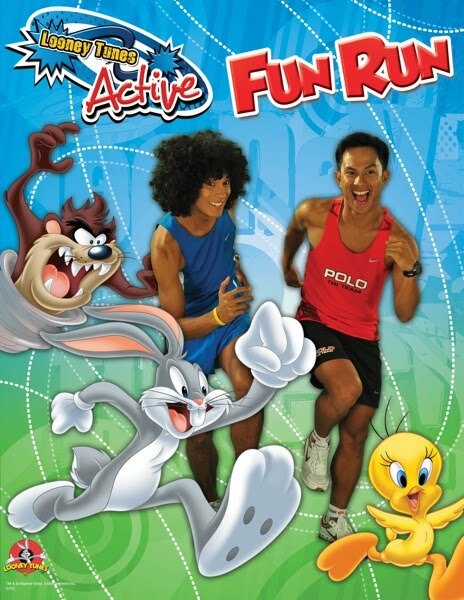 This culminated with the first Looney Tunes Active! Fun Run in SM Mall of Asia on August 30, 2009. The event was attended by almost 1,000 participants, consisting of children, parents and sports enthusiasts. This year, WBCP will launch a sequel to the Looney Tunes Active! Fun Run, this time in SM Megamall on May 29, 2010, and SM City Cebu on June 5, 2010. Acting as race directors are Rio dela Cruz, fresh from the Boston Marathon, and Noy Jopson, Philippines Iron Man. Register in Timex, SM Megamall, from April 26 to May 22, 2010, for the SM Megamall race; and Timex, Ayala Center Cebu and Watch Republic, SM Cebu, from April 26 to May 30, 2010, for the SM Cebu Race. Global Brands Group is the world's leading independent, international brand management, retail and licensing company. Global Brands Group's passion for managing brands is tied to its desire to building sustainable equity and creating new branding opportunities through geographic expansion, category extension and retail innovation. Through its international network of offices across six continents, Global Brands Group maximizes revenue potential by creating manufacturing, retail and distribution partnerships worldwide. Global Brands Group's business is focused on product licensing, merchandising and retail development. Currently Global Brands Group's growing portfolio of intellectual properties includes brands created by the Federation Internationale de Football Association (FIFA), the PGA TOUR Licensed Properties, Inc. (PGA TOUR), Federation Internationale de Basketball (FIBA) and Warner Bros. Consumer Products among others. With corporate headquarters located in Singapore, Global Brands Group has a network of offices in major cities around the world including London, Dubai, Tokyo, Hong Kong, Sydney, Buenos Aires and Johannesburg.